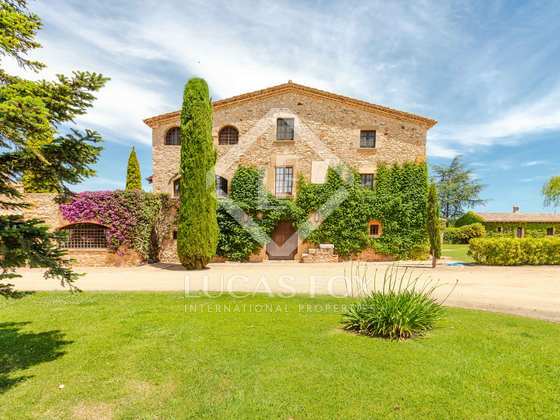 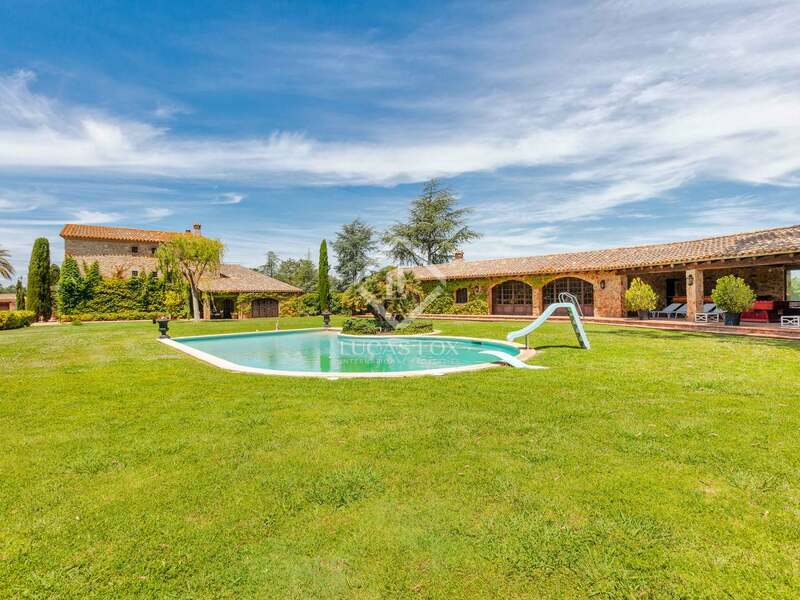 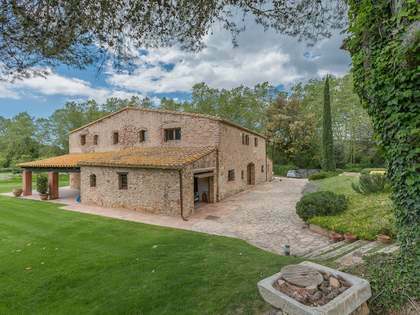 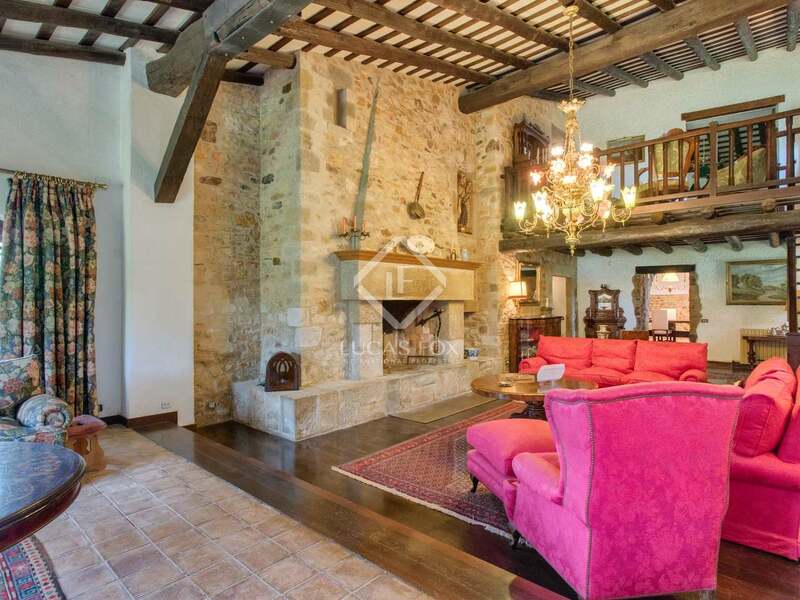 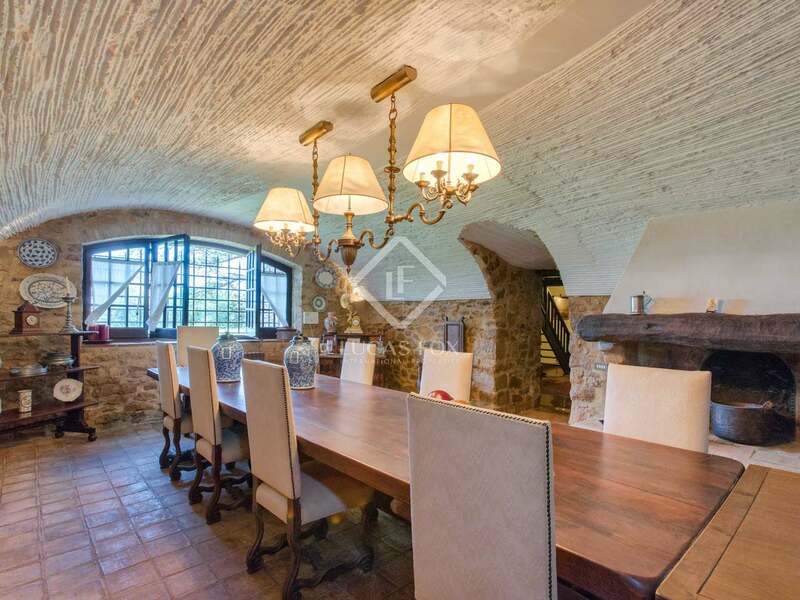 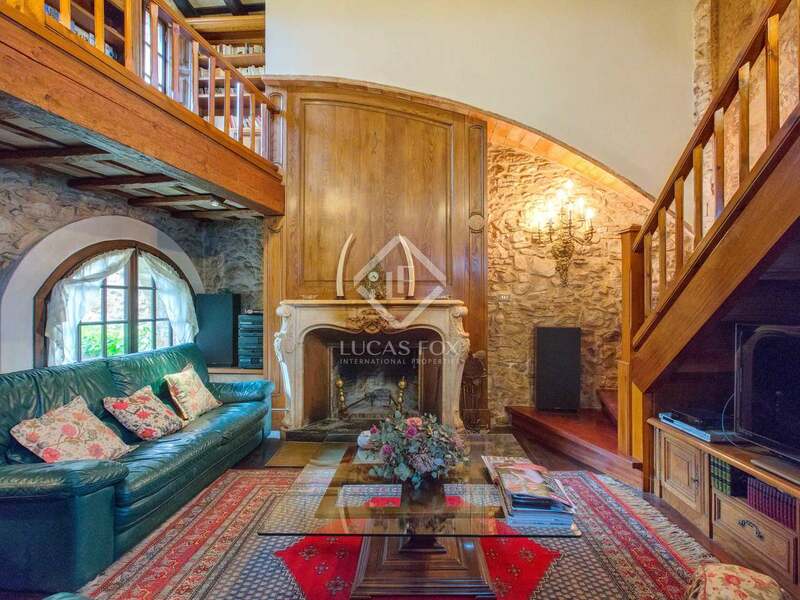 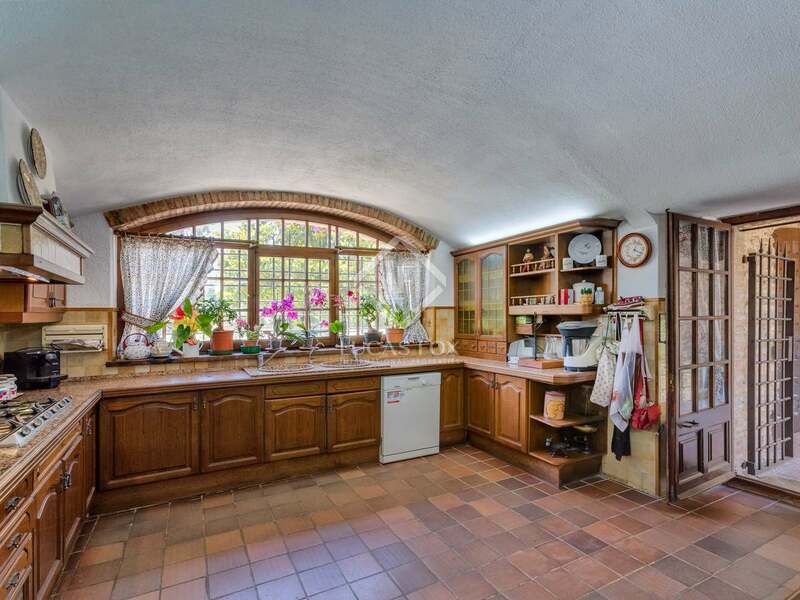 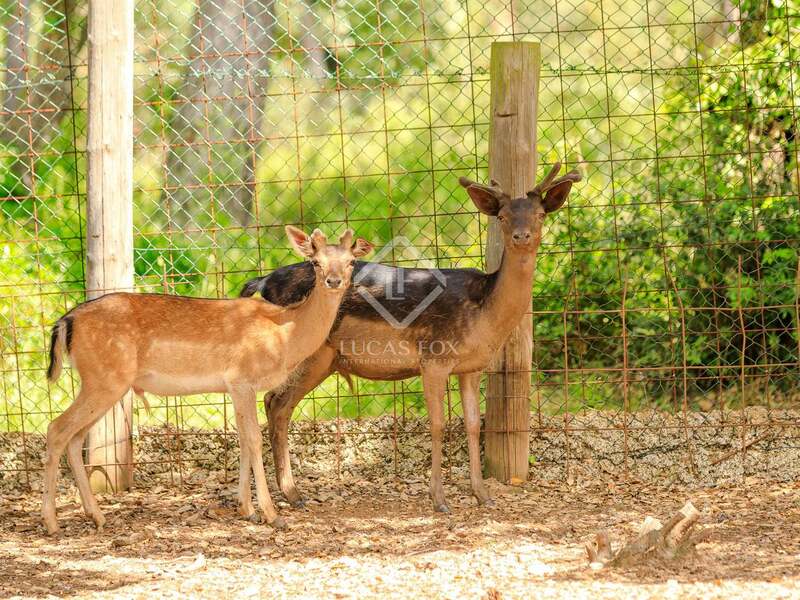 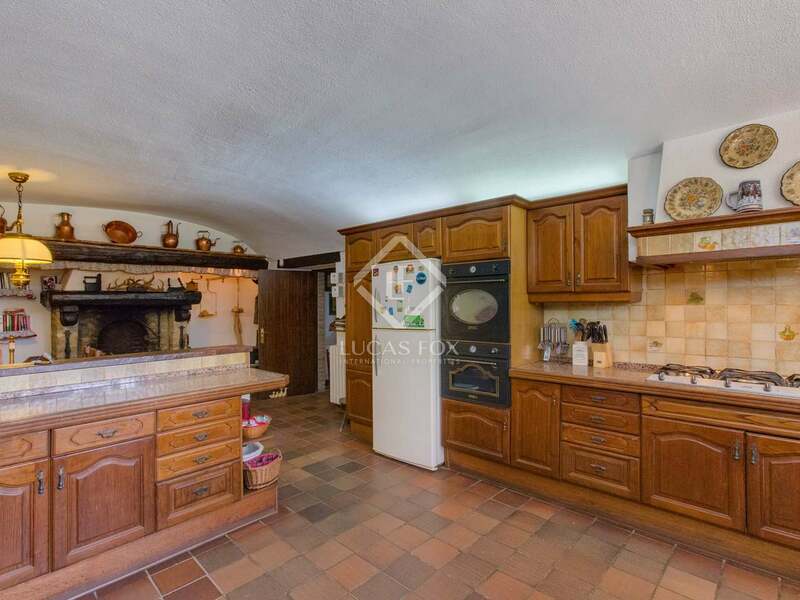 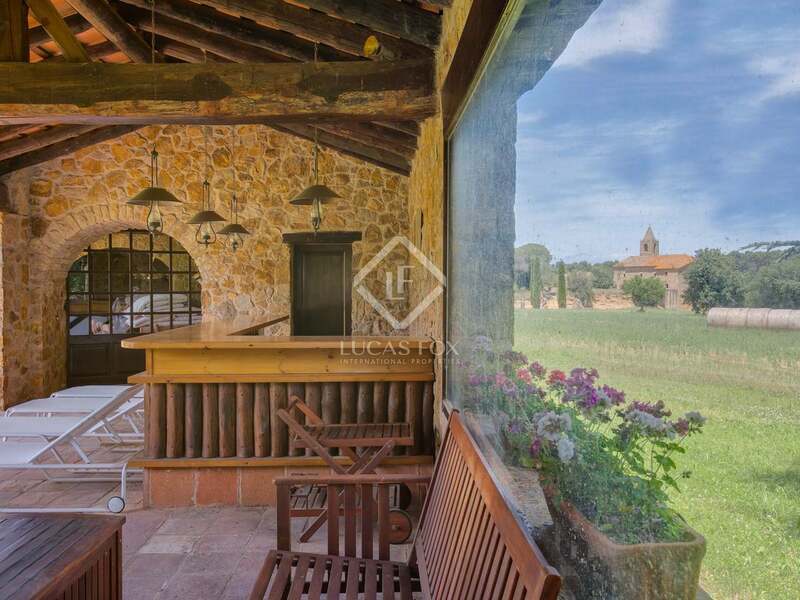 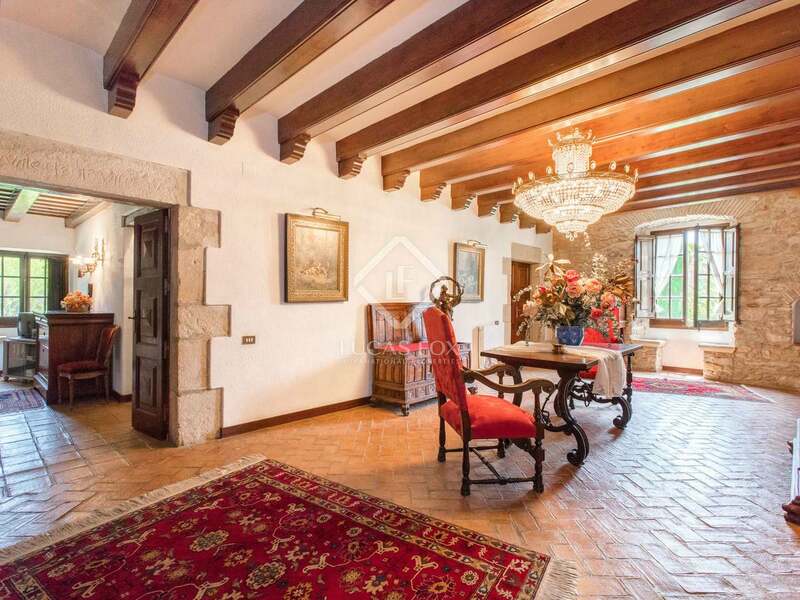 Grand 1,200m² country house with 30 hectares of private land in a prime area of the Baix Empordà. 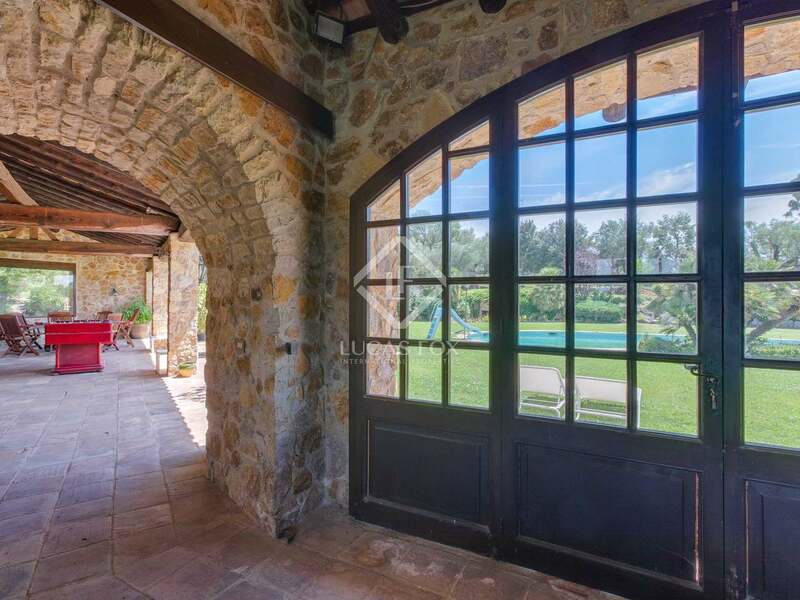 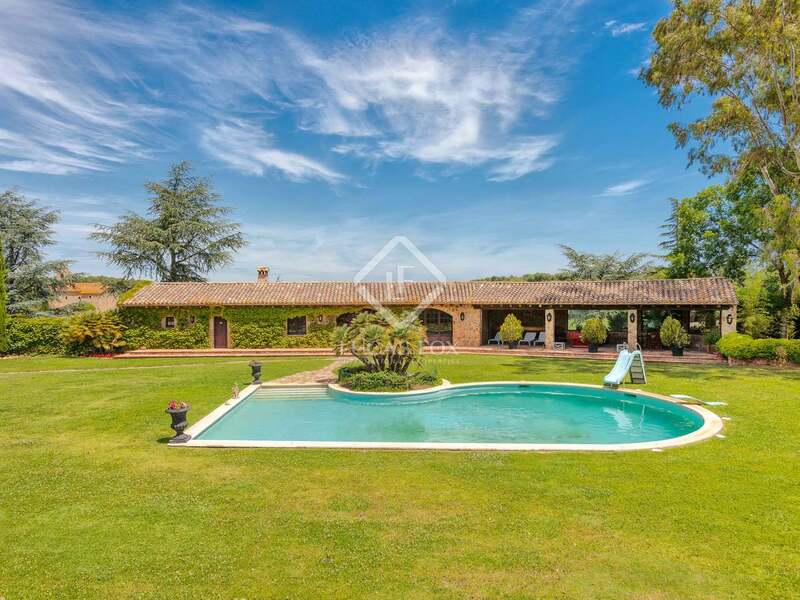 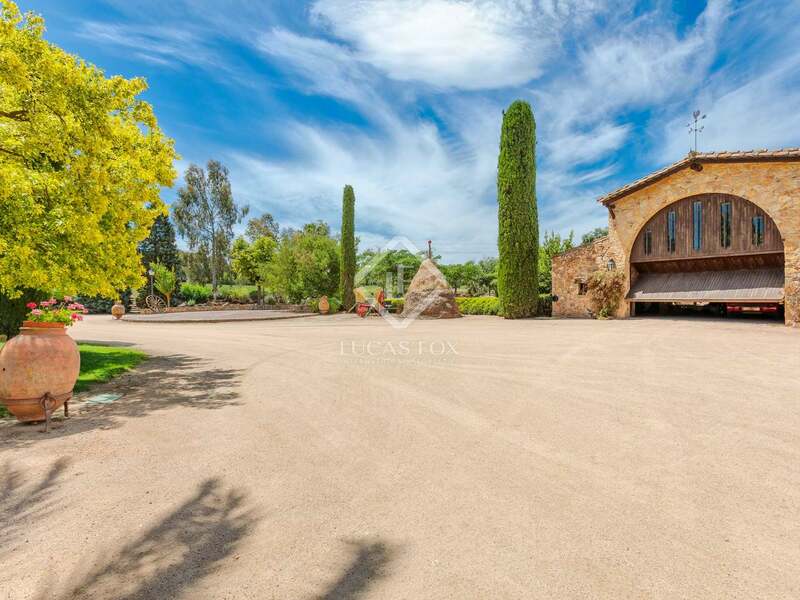 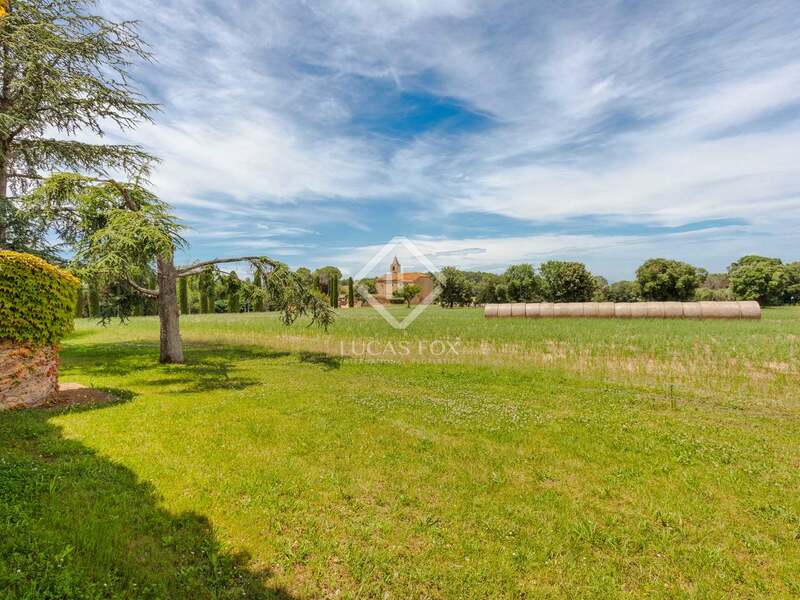 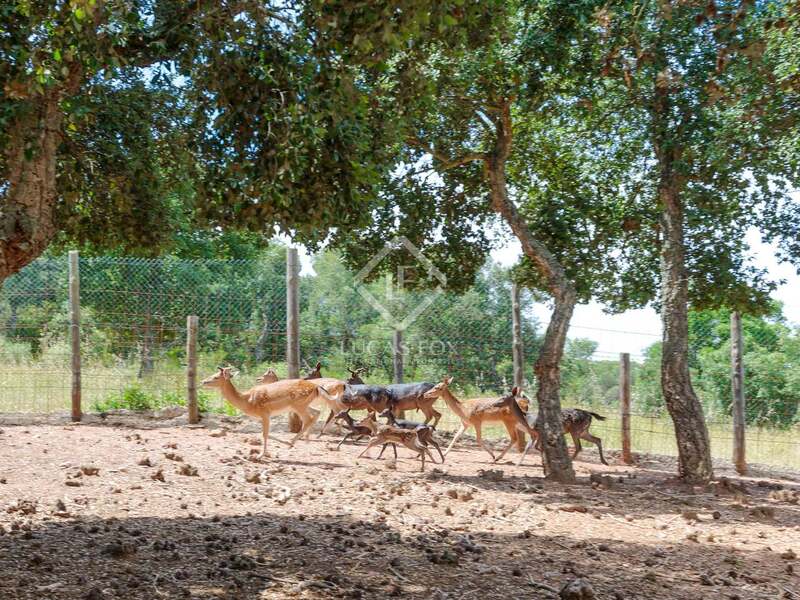 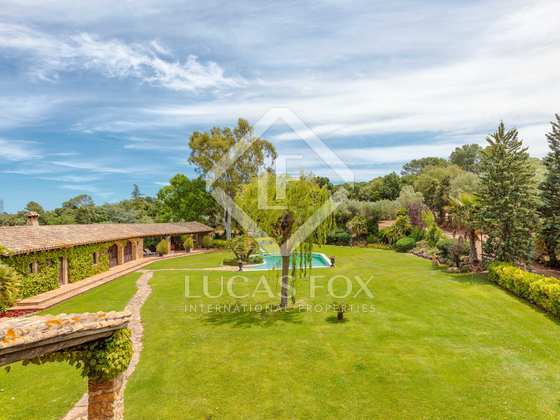 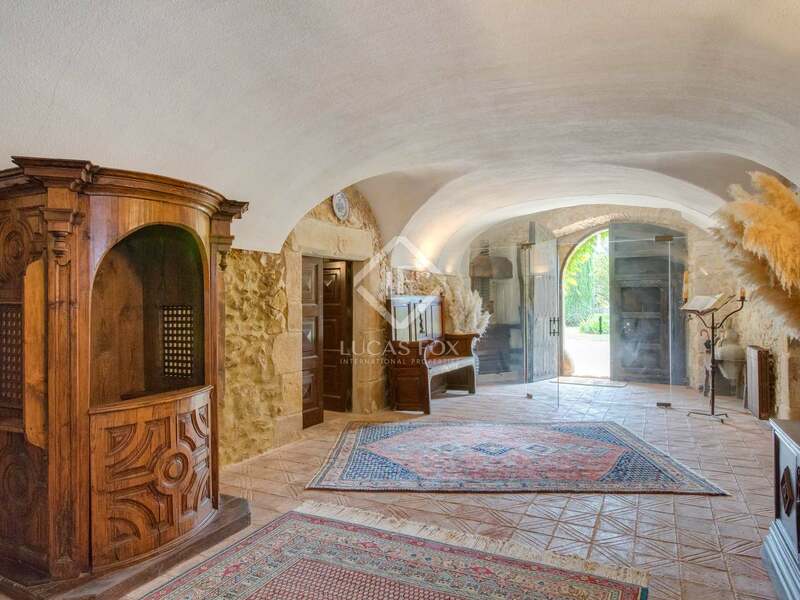 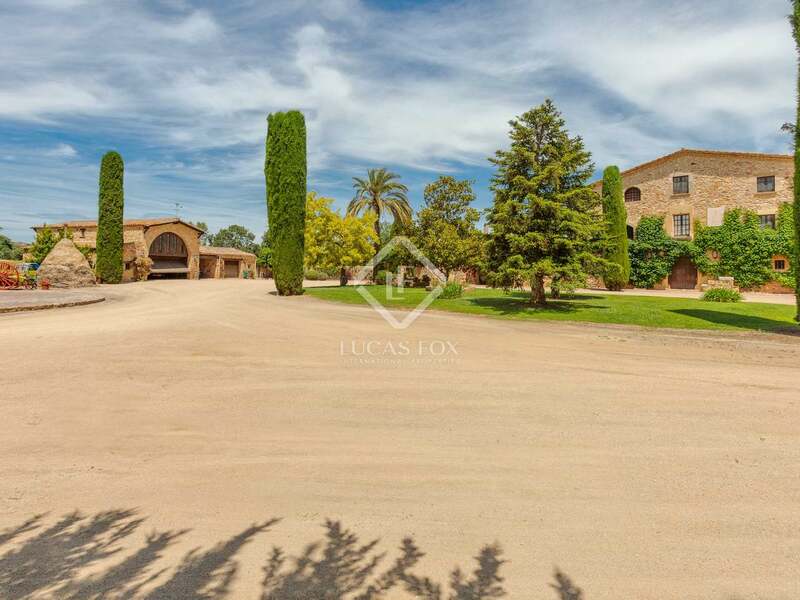 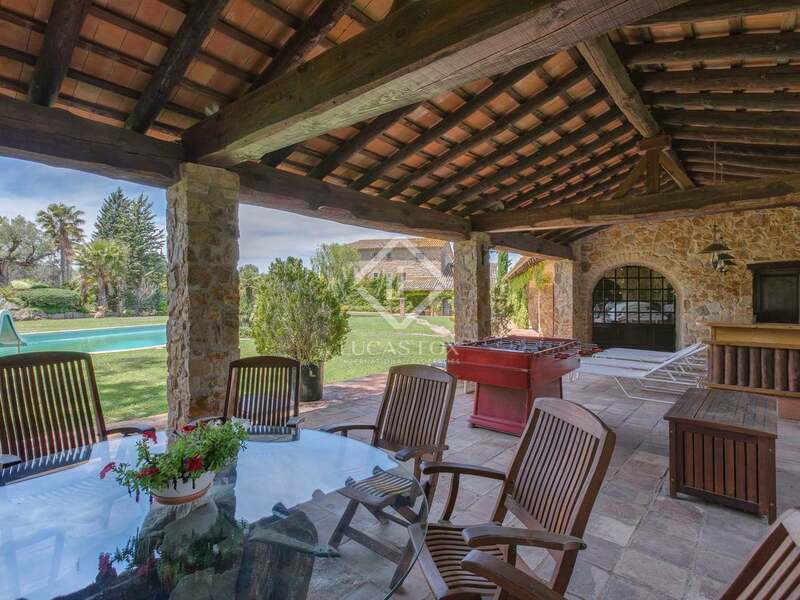 This magnificent estate includes a stunning traditional masia with outbuildings and beautiful gardens, all set in 30 hectares of private woods (20 hectares), olive groves (1 hectare) and cultivated land (8 hectares). 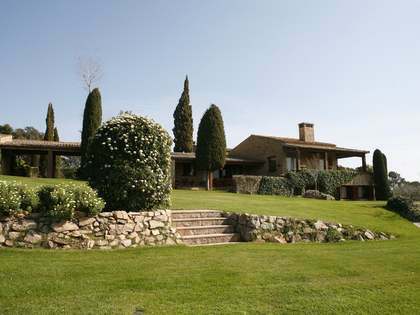 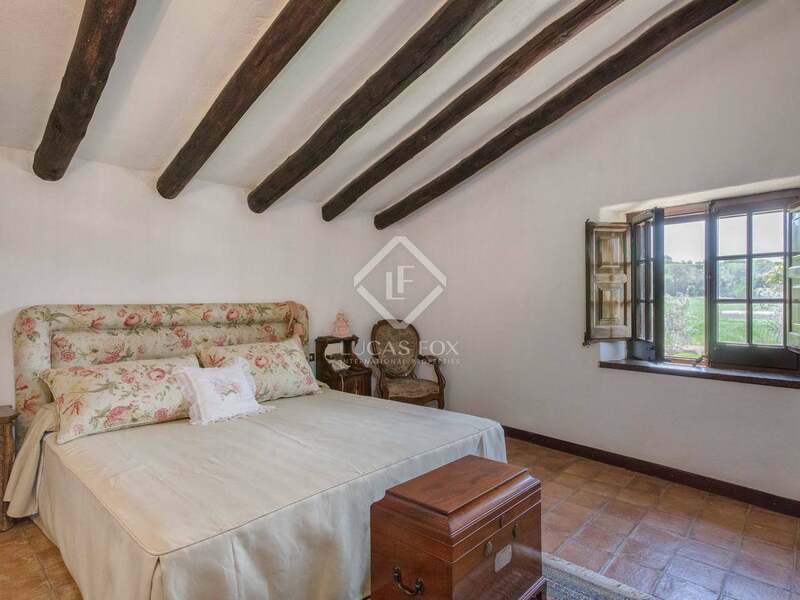 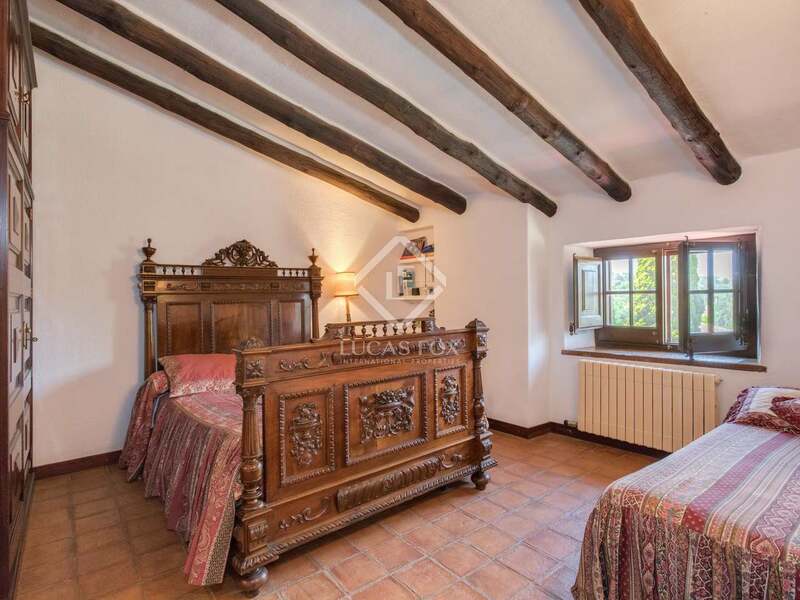 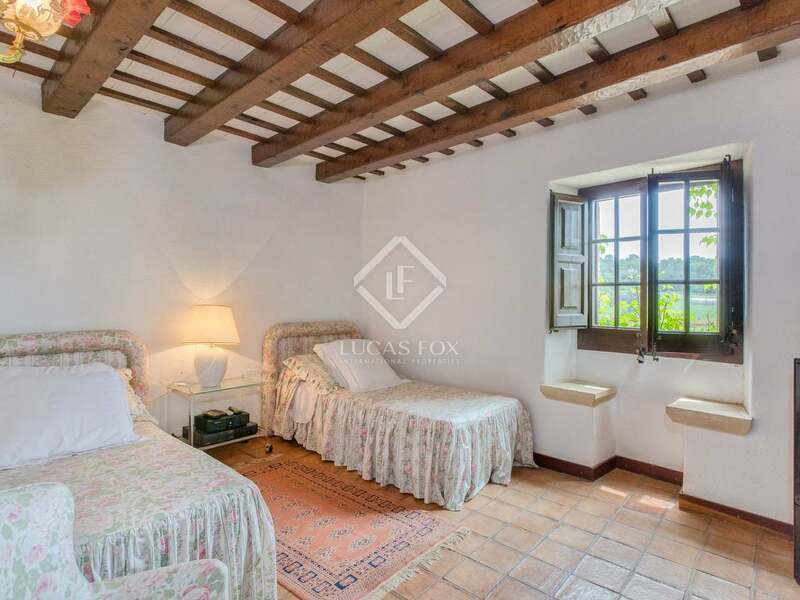 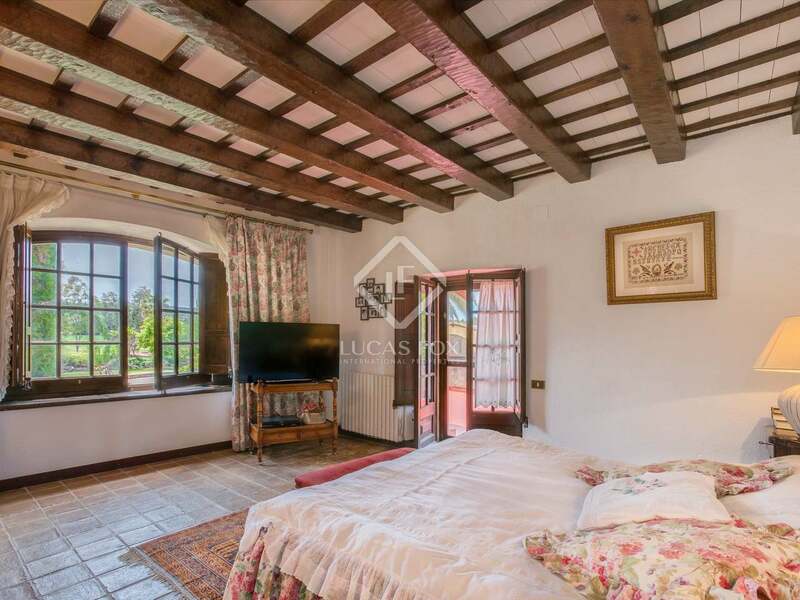 The masia itself dates from the 18th Century and affords lovely countryside views. 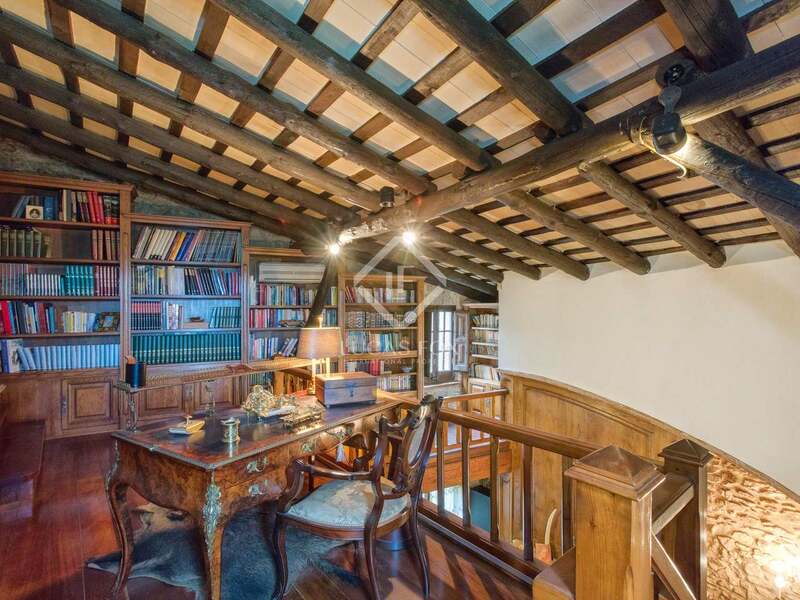 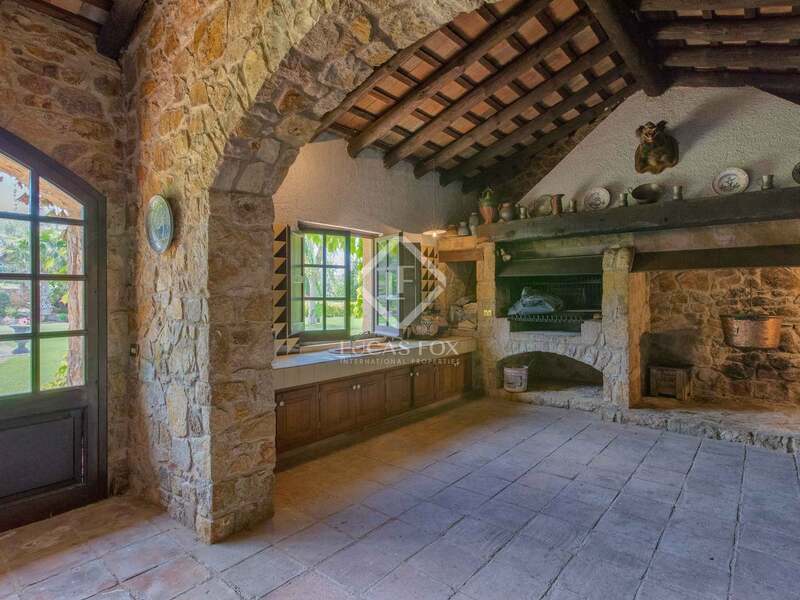 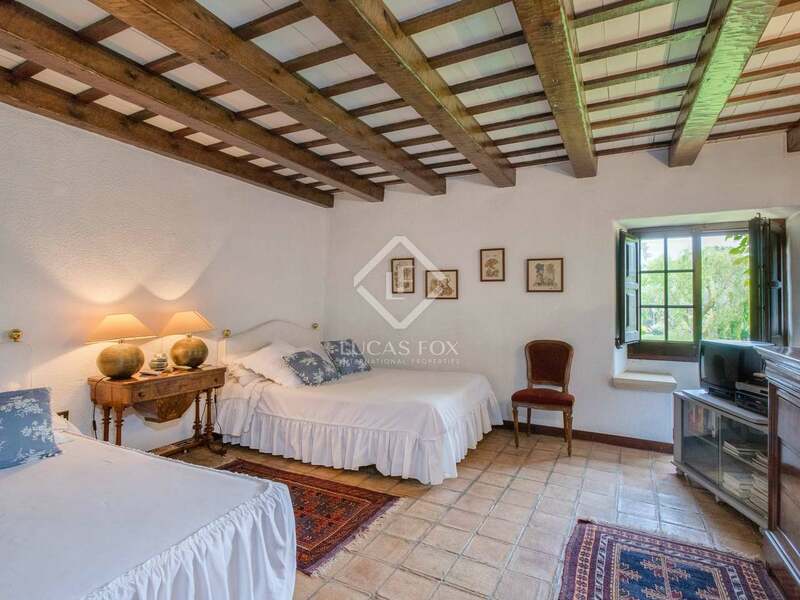 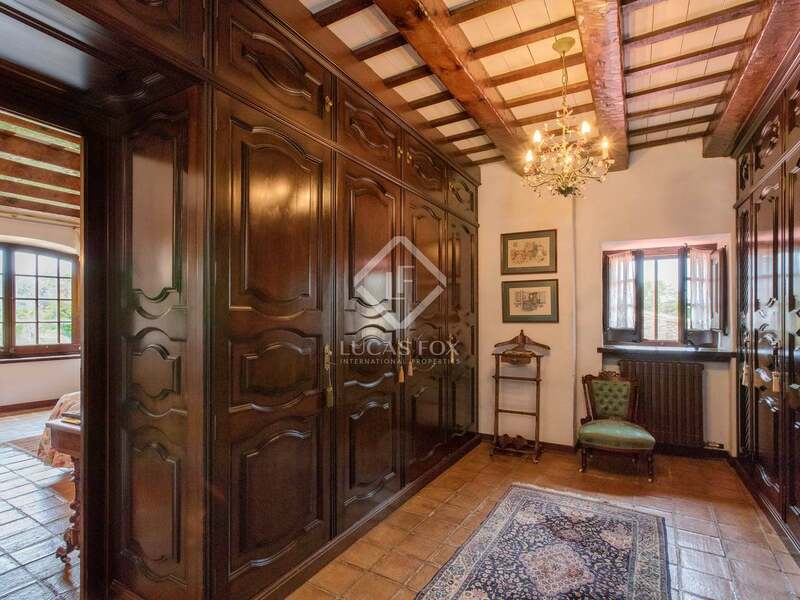 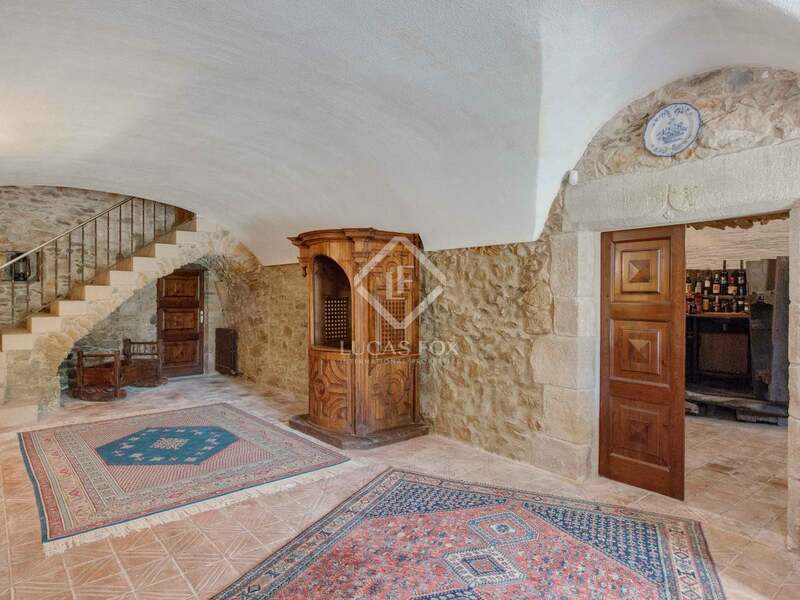 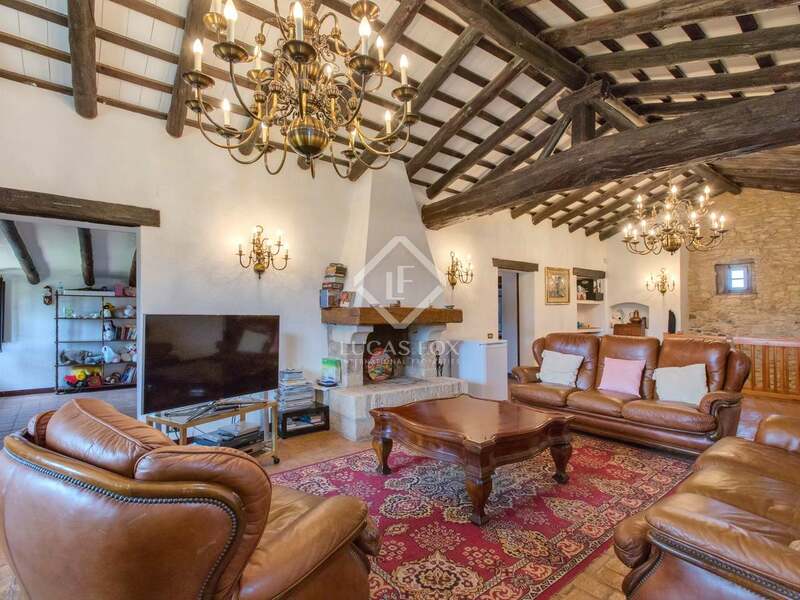 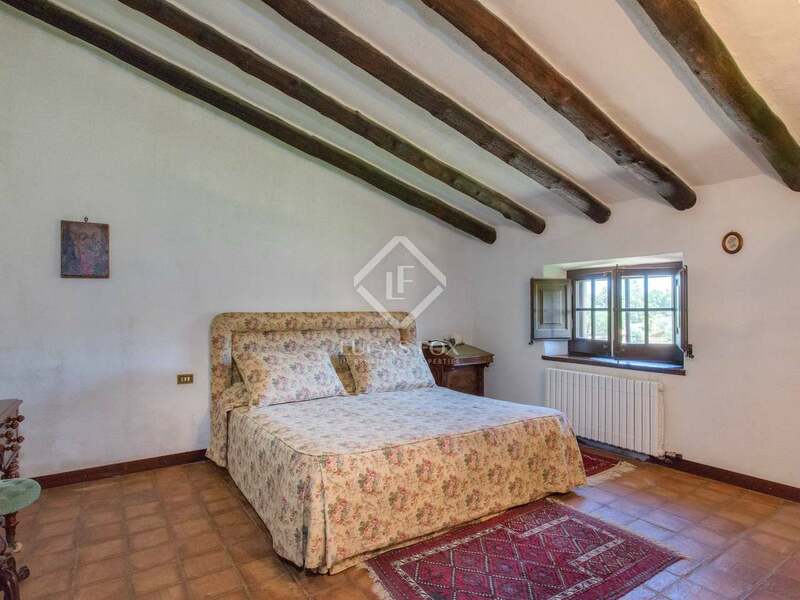 It is in excellent condition and underwent a 4-year restoration in the 1980s that retained many original features including cane-vaulted ceilings, stone walls and beautiful exposed wooden beams and panelling. 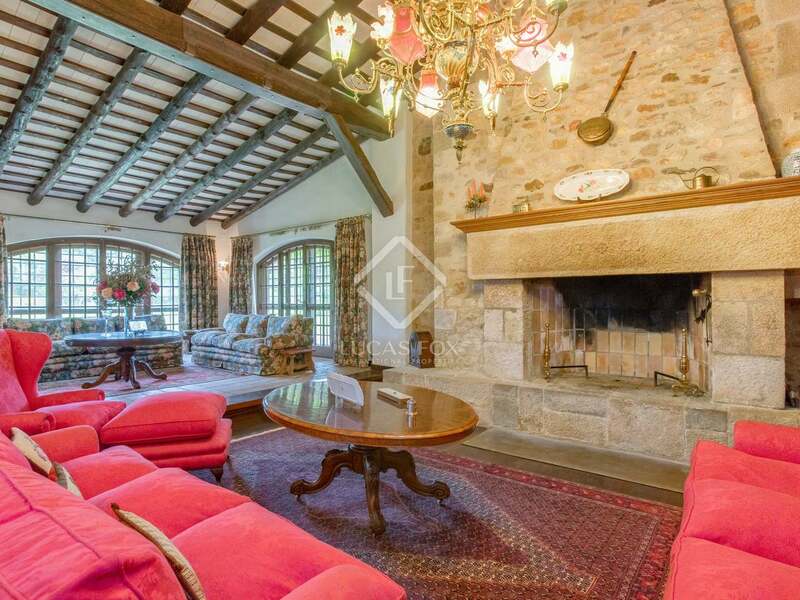 Inside space is characterful and extensive, from the impressive double-height living room and dining room with vaulted ceiling to the wine cellar, library, games room and music room. 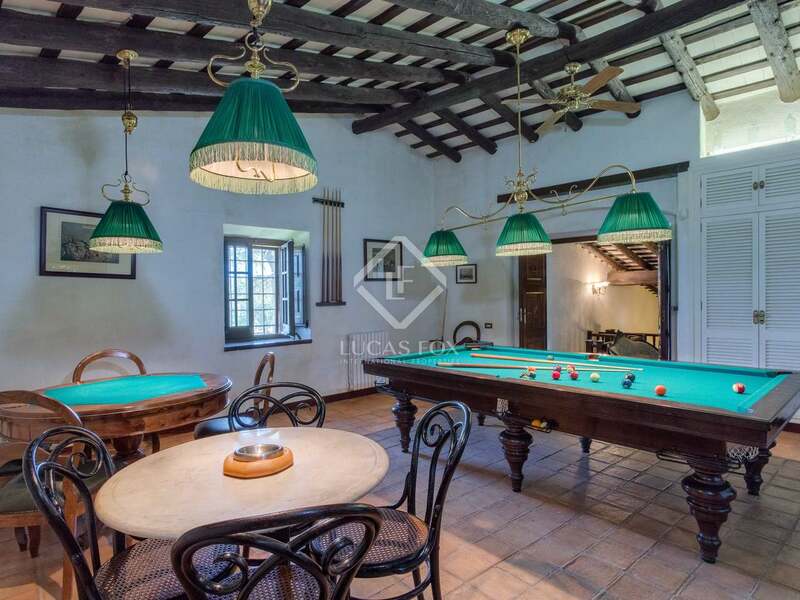 There are plenty of additional generous reception areas, and a separate staff or guest accommodation complements the 7 bedrooms and 6 bathrooms. 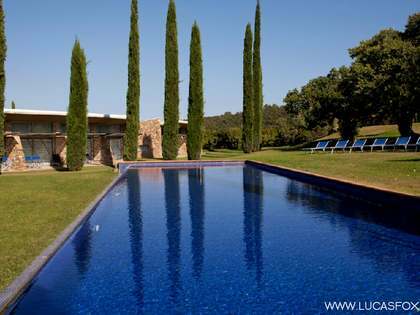 Outside, the lovely lawned garden has a swimming pool, large summer patio and BBQ area with dining room for 30 people. 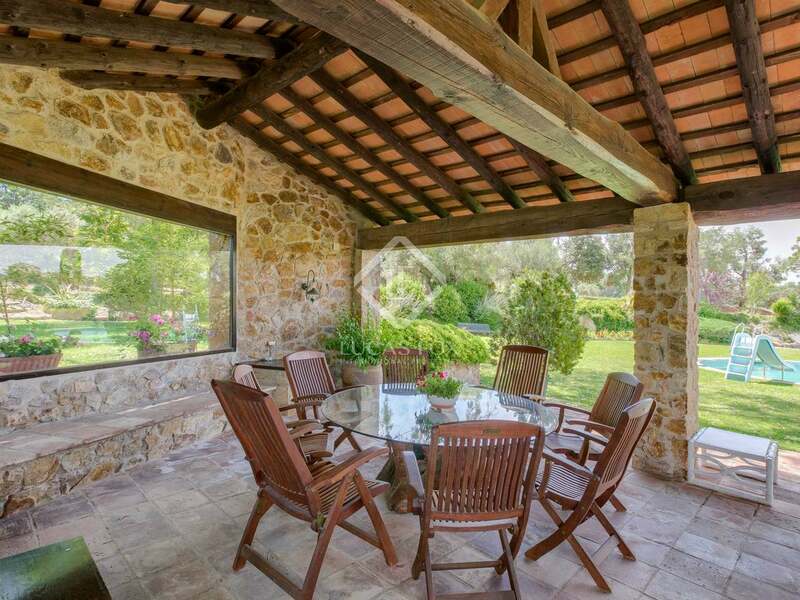 The fantastic summer porch also has its own facilities including changing rooms and a sauna. 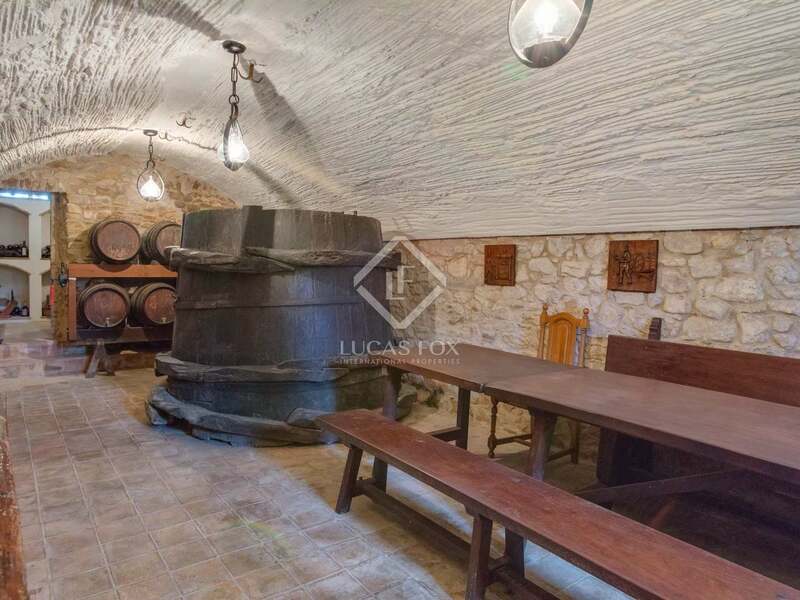 There are several outbuildings on the estate, including a garage and workshop, stables, storeroom for agricultural equipment and a barn with potential for conversion into additional accommodation. 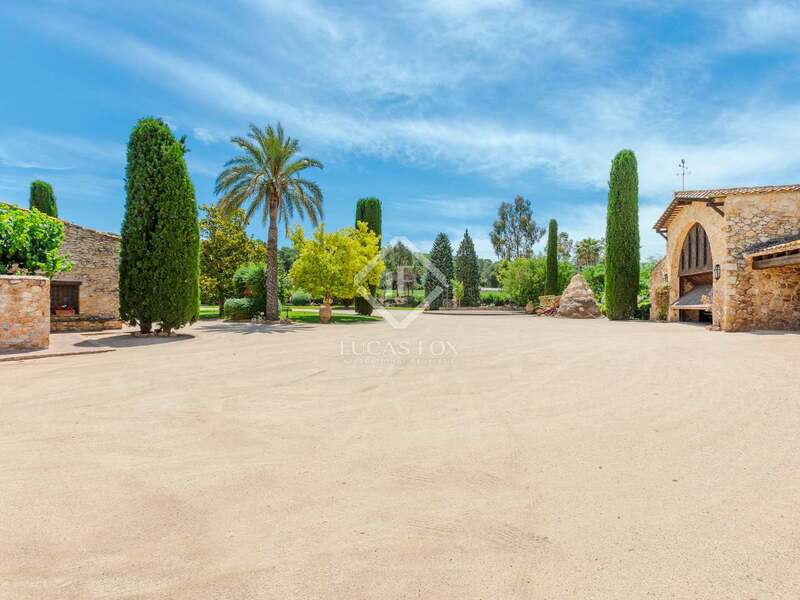 The estate would make a breathtaking family home, but its size and location are also ideally suited for creating a luxury boutique hotel. 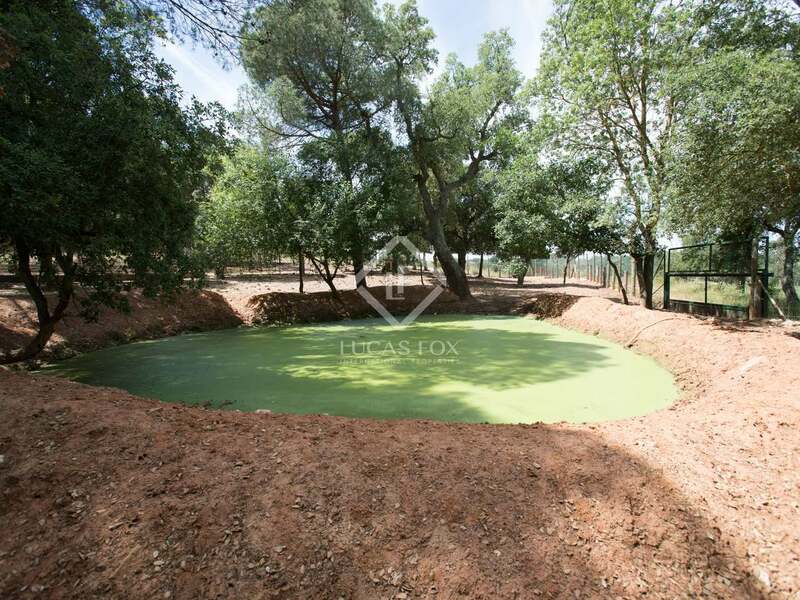 There is an elevator and many features that add self-sufficiency, including 4 private wells, water deposit, solar panels and generator. 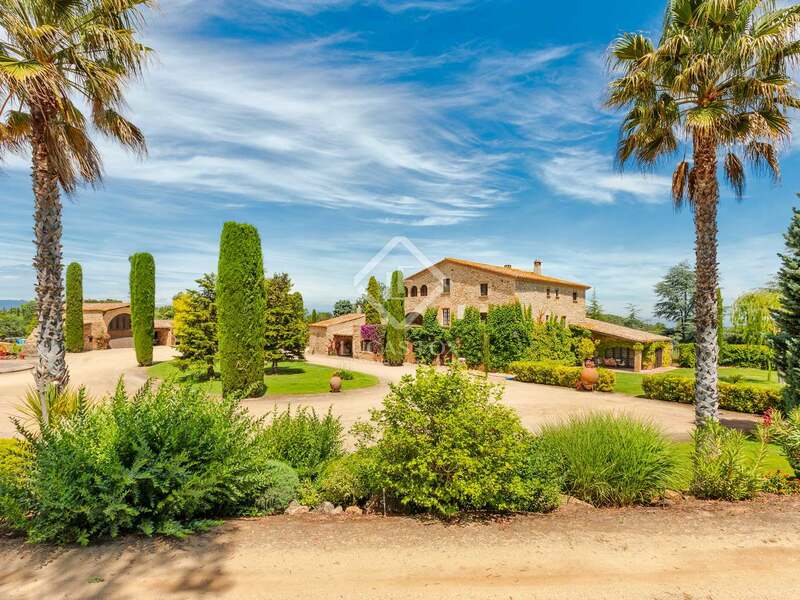 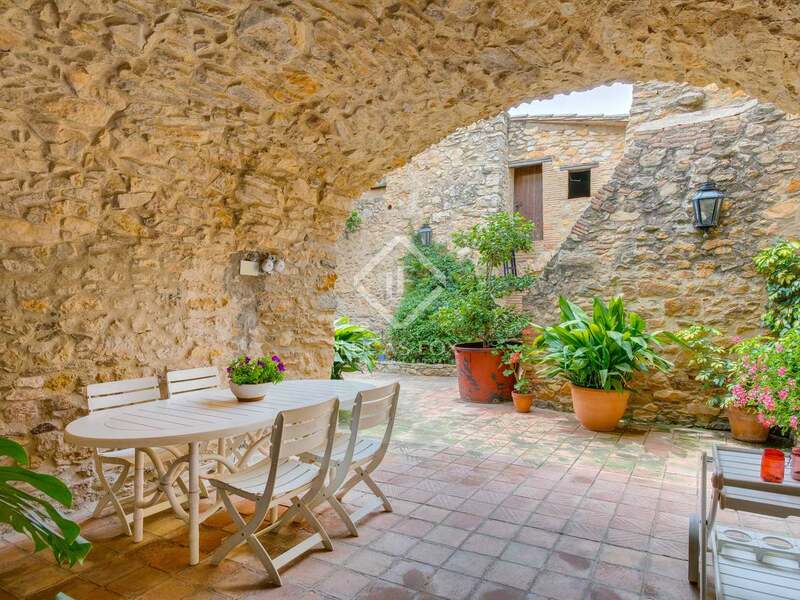 This standout masia and estate is located in the tranquil countryside of the scenic Baix Empordà, just a few minutes' drive from nearest village and only 15 kilometres from one of the most prestigious, unspoilt areas of the Costa Brava coastline. This part of the costa includes the world-class beaches at Calella de Palafrugell, Llafranc and Aiguablava, as well as all the hidden coves and fishing villages for which this breathtaking area of natural beauty is so rightly famous. This area of Catalunya is also well served by sporting facilities, including the world-class PGA de Catalunya resort and championship golf courses. 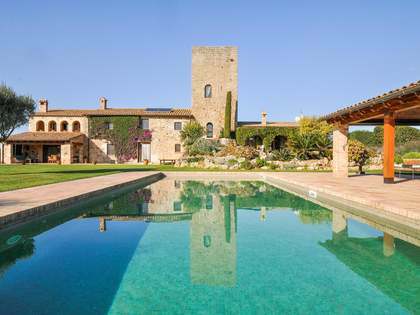 Girona is just 40 kilometres away, and Barcelona is only 145 kilometres down the coast and both offer a wealth of cultural and culinary highlights including Girona's much-feted and 3 Michelin-starred El Celler Can Roca restaurant, voted the best in the world. 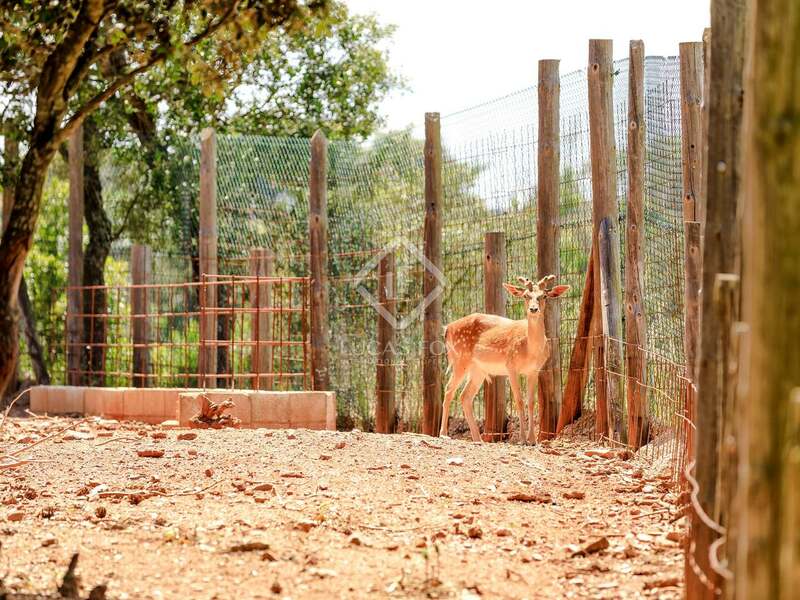 The French border is also easily accessible to the north.